Darra Goldstein is an author and food scholar. She has published 17 books and is a frequent speaker at organizations and events around the world. Books include "Fire + Ice: Classic Nordic Cooking," "A Taste of Russia," and "The Georgian Feast," among others. 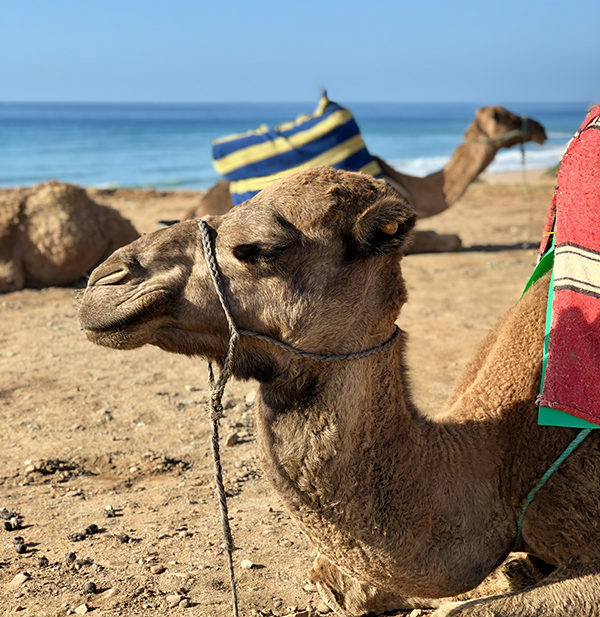 Join me on a fabulous culinary tour of Morocco organized by Duffle & Compass, specialists in custom-designed travel to Africa. During this trip, you’ll experience the breadth of Morocco through a food lens with local experts. Accommodations are in 4-5-star properties from classic riads, modern city hotels and a Bedouin tent in a private Sahara Desert camp. From the ancient alleyways of Fès and the bustling souks of Marrakech to the kasbahs of kings long gone and the port city of Essaouria, you’ll be immersed in Moroccan culture and cuisine. Click the button below to view further details.